For years the universal mantra from all breweries, with regard to cleaning beer lines, was “beer lines must be cleaned every seven days.” There has been a shift in attitude by some brewers, who now have a more pragmatic approach to this important task. With most pubs, and other beer retailers, feeling the cold economic pinch of austerity the prospect of saving money by any means is an attractive proposition. Breweries and service companies have seen this as an opportunity to make money. Brewers are marketing new dispense systems that they claim will reduce the requirement to clean so often, thus saving beer wastage and creating savings for the retailer. This incidentally, in some cases, ties the retailer to sell the brewers products and charges them for the privilege. Service companies likewise have seen a business opportunity and now offer various methods to clean beer lines, such as electromagnetic systems, deep clean techniques and enhanced chemical treatments. All these systems are designed to save beer wastage through reduced cleaning. Energy savings in water and electricity are also claimed. Keeping draught beer lines free from Bio film and bacteria is essential both for product quality and profitability. Beer lost either through dirty lines or through regular beer line cleaning can seriously cut into profit margins. Brewers would often factor in this beer wastage by giving a cleaning allowance, reasoning that if their products were kept in good order it was as much to their benefit as the landlords. Sadly those days have gone. Beer line cleaning has always been considered a necessary evil by some, wasting both time and beer they would say. We all realise though that without this chore, beer quality and profits would suffer enormously. 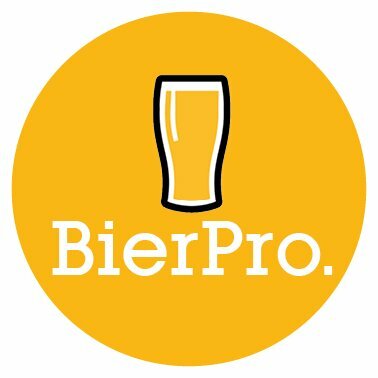 So what methods and services are available out there that can potentially save us money and maintain our beers in good order? Let’s have a look at the list on the right (below if you are using a mobile) that are on offer from brewers and beer service companies. If, on the other hand, you prefer to have things done the more traditional way then there are lots of companies who will undertake to look after your beer lines. Some offering regular weekly cleans, others specialised monthly cleans. There are lots of options out there and plenty of food for thought. Beer line cleaning, once a week or once in a blue moon! As you are here, if you are using one of these Systems. Please take the time to help others make an informed decision, as to whether it would be suitable for them in the relevant comments section. I run a linecleaning service in Cleveland area. Established 20 years ago. My solution for this wastage reduction is to clean the lines traditionally EVERY week and backfill the product into the keg product by product. So you transfer any infection that is in the line, back into the keg brilliant!!!. Hope health and safety never find out, if you’ve been doing it for 20 years you’ve had a good run. Agree with you there Hoppy. I want to know which pubs this is done in so I never drink in them! I bet the Innserve and Coors Techs in that area love you. OMG and you admit to that. Oh dear. Well done Inndoctor for raising this awareness.